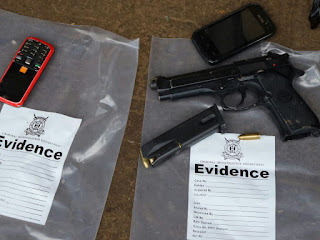 Two suspected thugs were this morning shot dead in Nairobi central business district by police officers after an attempt to steal from one of the restaurants failed. The thugs had attempted to steal cash from Milano Hotel located along Ronald Ngala street in Nairobi but police were tipped off by members of the public that some thugs were hanging around possibly trying to find a convenient entrance. After being tipped off, Police resounded immediately and pursued the suspects' car where they caught up with them just before they could carry out the robbery. When they saw the police, the thugs started shooting and that's where the police were able to gun them down. "We trailed the suspects and caught up with them at 6am. Two escaped but we are still pursuing them," Nairobi OCPD Paul Wanjama told the Star newspaper. 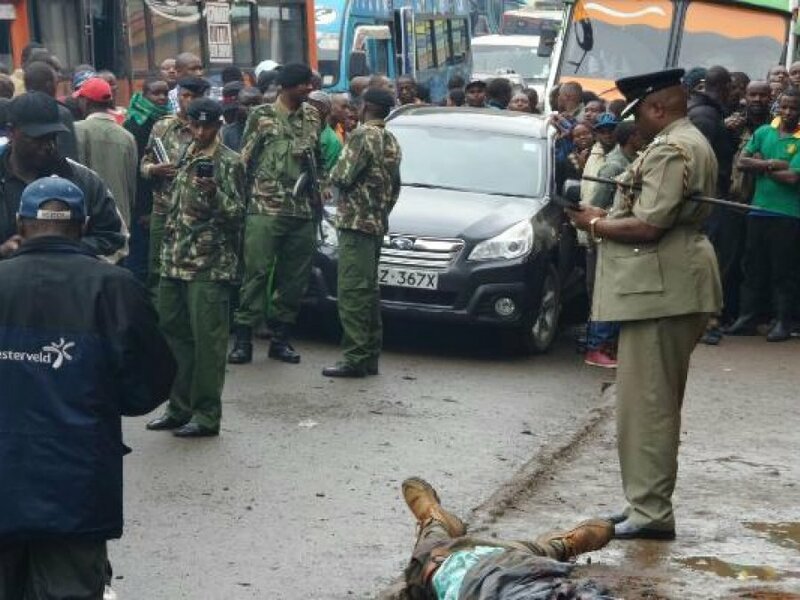 Wanjama also said the suspects had been attacking residents of Shauri Moyo, Ronald Ngala street and River Road.